This is the phase I most enjoy. It’s the part of trip planning where I snag 20 minutes at a coffee shop with a guidebook. (Save money and check them out from your local library!) 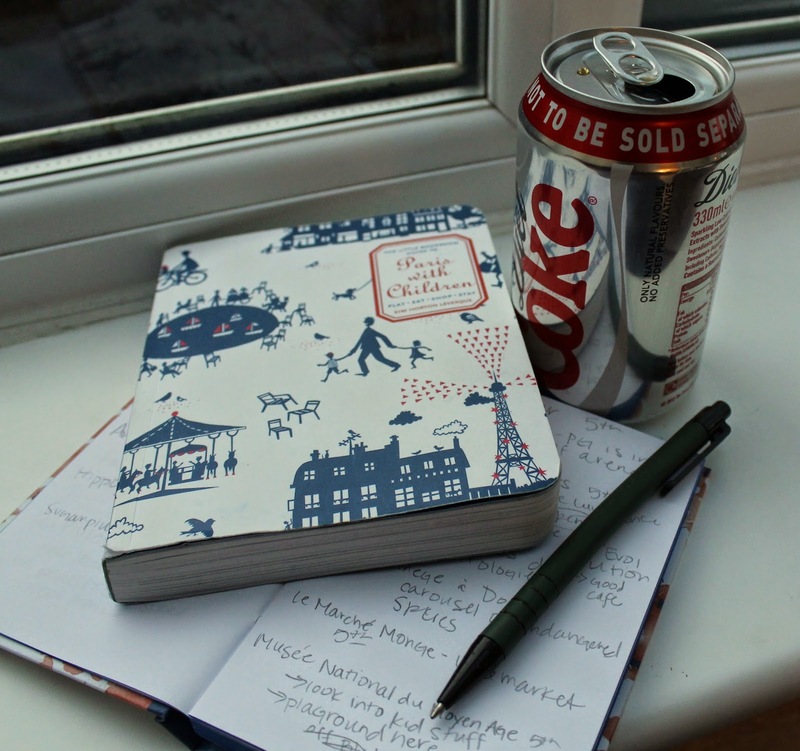 Or spend an evening reading blog posts from fellow travelers who have been to my intended destination. Later, I’ll hop on the websites of attractions that catch my eye and read up on them in greater detail. I pay particular attention to the portions of websites that are focused on families. I find I can usually quickly gauge if there’s much to interest my kids by reading this. I quickly identified Vigeland Sculpture Park in Oslo as a must-see attraction based on several family travel blog posts. This phase is pretty fluid for me. The only real organizational skills I put into practice are to somehow save or bookmark things or places that catch my eye. So if I’m reading a guidebook, I’ll put post-it notes or sticky flags on pages that I want to refer back to later. I’ll hop on Pinterest and create a specific board for the trip, or pin ideas to existing boards. But I mostly spend my time reading and getting inspired, not getting too hung up on logistics. (That will come later!) Remember the most important rule of brainstorming? There’s no wrong answer. Yeah. That. This is when I begin to get more serious. I go back to anything I’ve pinned or saved, and begin looking them up one by one. I often spend the longest time on this phase… it’s kind of like the quality control part of my planning efforts. Since my brainstorming efforts typically leave me with more ideas than we realistically have time for on a trip, this is the stage where I begin to rule certain things out, and make other things a priority. 1) Where is this attraction? The easiest way to keep track of where all your intended activities are is by using an app called TripDoc. This is an especially convenient tool when visiting big cities. It essentially maps out anything you want to keep track of while on your trip. So that one museum you really want to check out? It just happens to be two blocks from that restaurant your friend told you to try. Now you know you should plan to do both the same day while you’re in that neighborhood. If you’re visiting a more rural area (like our trip to Ireland this summer), then I typically just use Google maps to determine how far the drive is between places (and in which direction) and make a note of this. You can even save the maps and reference them later. 2) When is this attraction/restaurant/activity open? How much does it cost? Does it open later in the day? Closed on Mondays? Only open in the summer? Only serve breakfast and lunch? And by checking admission prices, you’ll often become aware of any printable coupons or special deals. Plus, for me, it helps me to determine if an attraction is really worth our valuable vacation dollars. A museum that has little for children but costs $20 to get in? Probably not going on my list. A restaurant with no kids menu and entrees that cost $25 a piece? Might not be a place where we will feel comfortable. 3) Check TripAdvisor reviews. I’ll be the first to tell you that TripAdvisor is not a perfect system. That’s why I rarely rely on it exclusively to determine how we choose to spend our time. But it can offer some valuable feedback on attractions that are just not worth your time or money. Conversely, after reading a long list of favorable reviews, it might cause you to take a chance on a place you weren’t quite sure about. My biggest TripAdvisor tip is to not pay that much attention to the star rating, but to instead read the specific comments people have written. You’ll often be able to separate out the crazy people from the more reasonable travelers with valid complaints. For instance, someone writing “that restaurant was overrun with children!” is, in my mind, a positive not a negative. It means my family will likely fit right in! Their faces say it all. 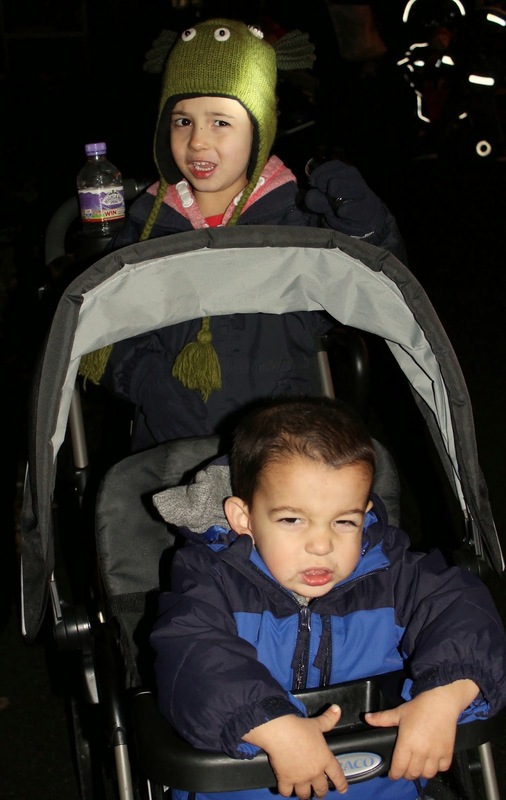 We had a pretty rotten time at the Kew Gardens Christmas event in London last year. If only I had checked Trip Advisor. The reviews were nearly uniformly negative about it. This stage typically happens while I’m in the midst of my Organizing Phase (see above). I wish I could say I had some fancy system, but beyond using the TripDoc app, I rely on a simple Word document. Which I then print out prior to departing. In this document, I list any attraction or restaurant that I think we might want to visit while on the trip. Depending on the trip, I’ve organized this document in various ways. By Location. In big cities, I’ll often break down activities by neighborhood. For our upcoming Paris trip, I’m listing activities by their Arrondissement (the various regions of Paris) so that we can see as much as possible during our days there without criss crossing the city multiple times. TripDoc is great for helping you visualize this. By Weather. If we’re visiting a place where we want to spend the bulk of our time doing outsdoorsy things, then I like to make the most of good weather and have a plan in place for rainy days. This is how I organized my document for our recent trip to the Lake District. We primarily wanted to hike and admire the beautiful scenery, so I listed some great hikes under the heading Nice Weather. And then I listed a handful of attractions that would work well under the heading Rainy Day. This would work great for beach-focused trips also. By Day. This is what I did for our Belgium trip last Easter. We knew we wanted to spend a day or two exploring Bruges, where we were staying, and then spend the remainder of our days doing day trips. So I listed some things to see in Bruges, followed by Ghent, the coast, and Brussels. 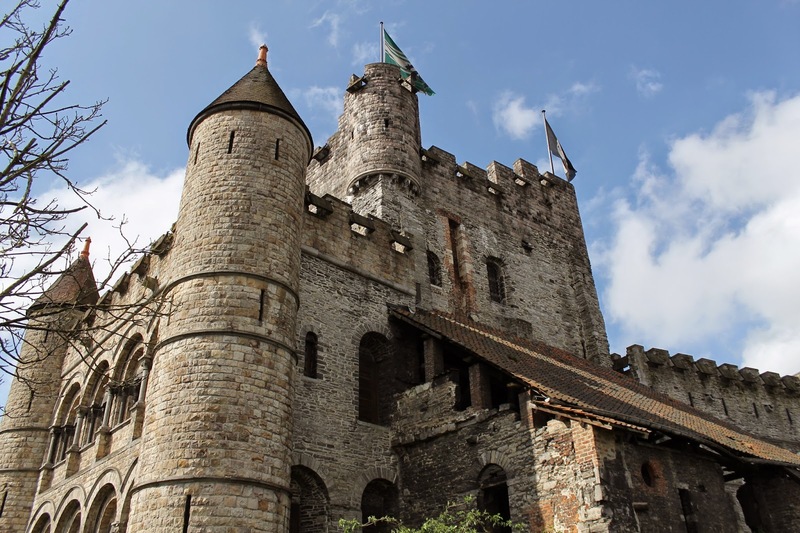 We knew exactly how to spend our day in Ghent, Belgium, including a visit to Castle of the Count. So what types of information do I include in this document? The address. What time they open. Any days they happen to be closed. Their website address. Do they serve food? If I’m watching costs I’ll copy down the entrance fee. Any notes I want to remember (like “dress up area for kids on the 5th floor”). I do a lot of copy/pasting from websites. By doing this simultaneously with my organizing phase, I’m basically keeping track of pertinent info as I research. If I’m using the TripDoc app to organize attractions by location (mentioned above) then I’ll often paste some of this info in the app, also. Next week I'll share how I stay organized at home to make packing and preparing for trips even easier.